How’s that for a tongue twisting headline?! Merlot was dealt a harsh blow by one fateful line in Sideways that reverberated for years. It’s time to get over it!!! And no time like the present as October is #MerlotMe month. So join me and the Wine Pairing Weekend crew (scroll down for more info) and let’s raise a glass to this much-maligned grape! It has been crazy times around here for the last few weeks, so I admittedly didn’t have time to pull together a new recipe for a Cooking to the Wine. However, Greg and I did have a dinner on the books with his brother Dave and his wife Julia–one of our favorite couples to feast with and have already made a couple appearances here. It seemed like a perfect opportunity to pop open and experiment with some bottles. Photo credit for all photos on this post goes to Greg Hudson. 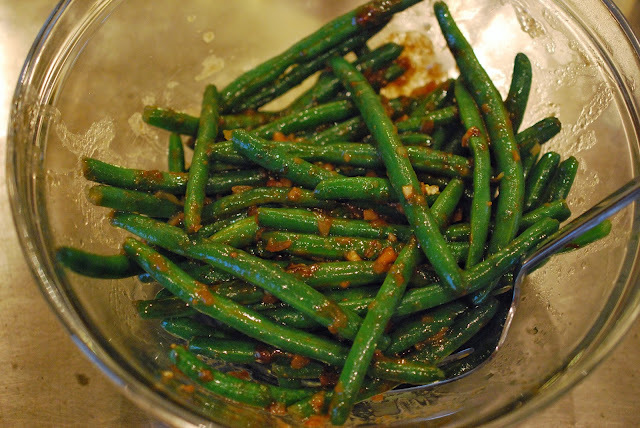 Dave was planning a dinner of a Porchetta Roast with Green Beans with Miso Butter and Wild Mushroom and Butter Bean Pasta. They make this particular mushroom pasta often and he decided to switch it up switching in pesto for the rosemary flavorings. All seemed like solid options for Merlot pairings. 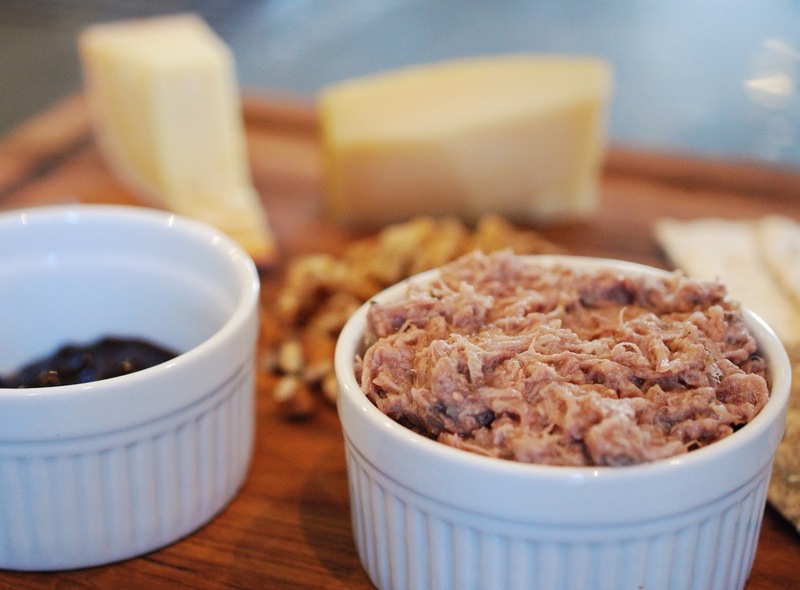 I decided to make Duck Rillettes to have as an appetizer. I used this recipe from AnovaCulinary.com, but then gave it a little kick with a mix of herbs and spices (sage, thyme, clove, pepper) and lemon zest. We also had a delicious sour cherry preserve that a friend had brought us. 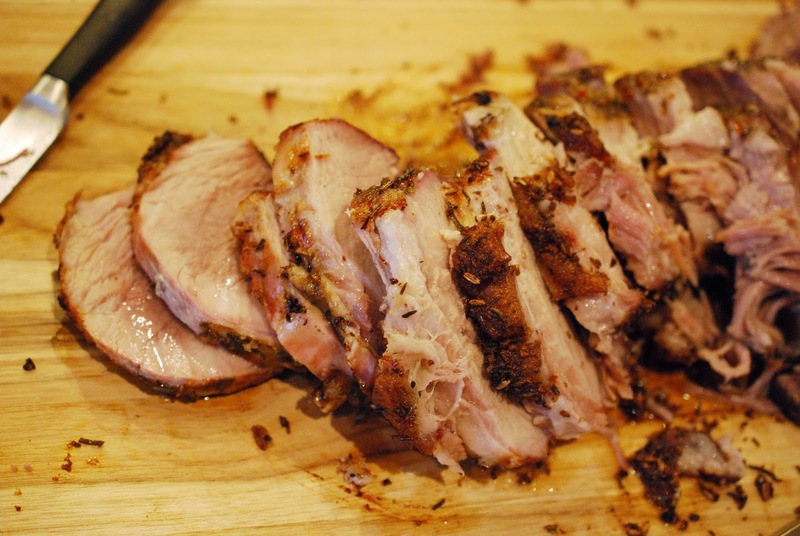 It wasn’t too sweet and I thought it would make a wonderful accompaniment to the rillettes. There was also a selection of cheeses to add to the appetizer board. A selection of samples that had been sent from various wineries along the West Coast (all opinions, however, are my own). As a group, we decided to conduct an informal comparative regional study. 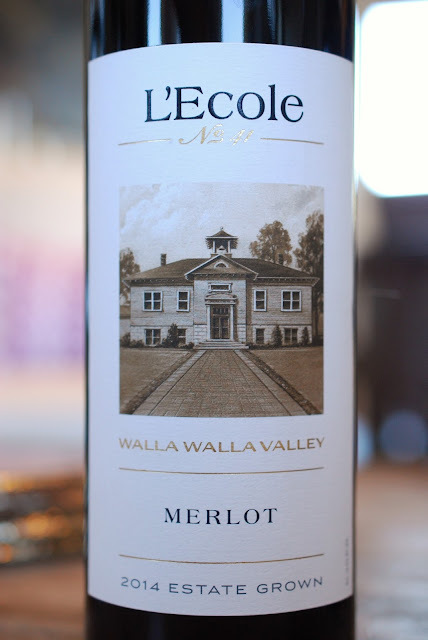 We opened two wines each from Duckhorn Vineyards in Napa Valley and L'Ecole No. 41 in Washington. 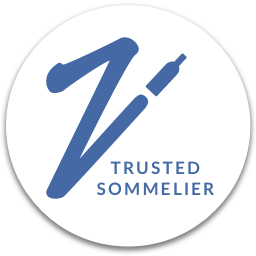 Dave–an unabashed Francophile when it comes to wine–added in a St. Emilion. 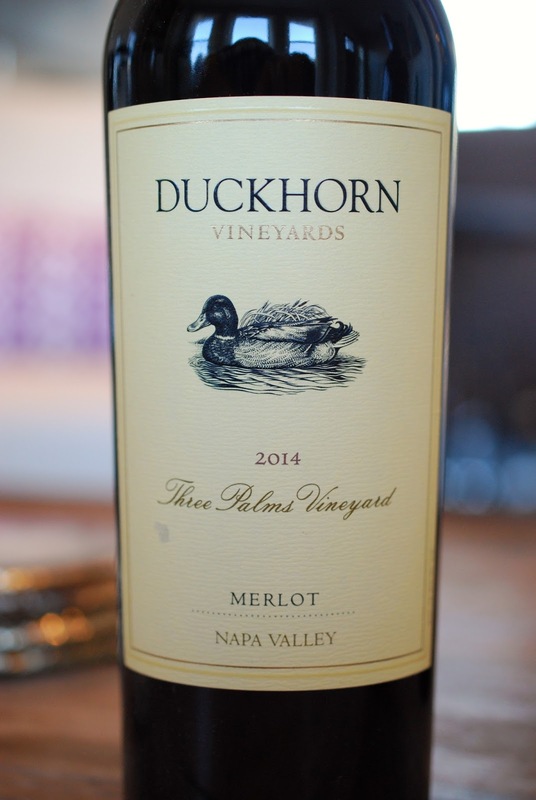 A very welcome addition, because let’s not forget that Merlot is the number one grape grown in Bordeaux overall and the traditional lead grape in Right Bank Blends. Altogether a pretty rockstar line up of Merlot-based wines–each a stellar producer in their region. In this line up, you’d expect the BDX to have more herbal and earthy notes, higher acidity, and perhaps be more medium-bodied in comparison to the others. You’d expect Napa to show the ripest fruit characteristics and more spice, and probably to be the most full-bodied. Washington would generally fall in the middle of the spectrum in most aspects between the two. All the players today performed as expected. Now let’s meet the actual participants and see how they did. 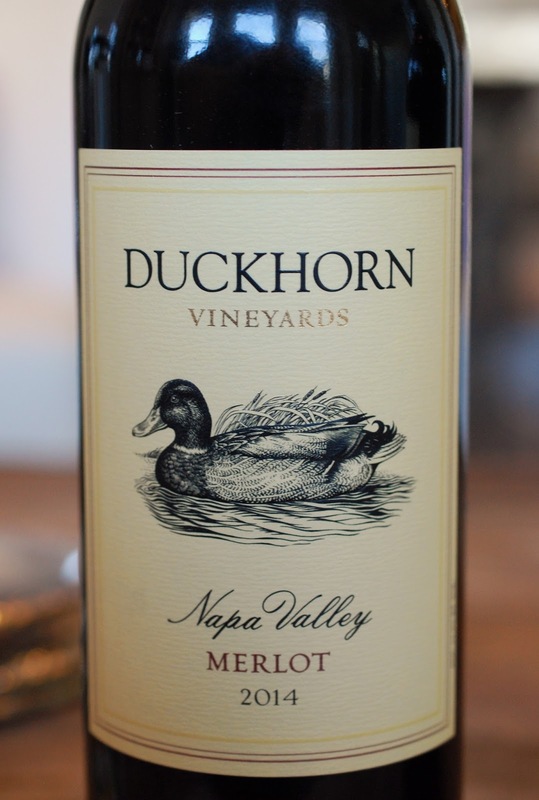 Duckhorn Vineyards was started by Dan and Margaret Duckhorn in 1976. They have always maintained a focus on Bordeaux varietals and (according their site) were the first American winery to pioneer luxury Merlot starting with their debut vintage of Napa Valley Merlot in 1979. They currently celebrating they're 40th anniversary, so a big cheers to them! Notes of steeped cherries, cocoa, mocha, raspberry sauce and plums. Ripe with smooth tannins. This represented well everything you’d look for in a Napa Merlot. I particularly like this one when I topped the duck rillettes with the black cherry preserves. Notes of kirsch, warm berry compote, plum sauce, cocoa, baking spices, espresso, bitter chocolate, pepper and a little cedar. It showed a long finish and certainly takes things up a notch in terms of complexity. Much like the Napa Merlot, I particularly like this one when I topped the duck rillettes with the black cherry preserves. L’Ecole No. 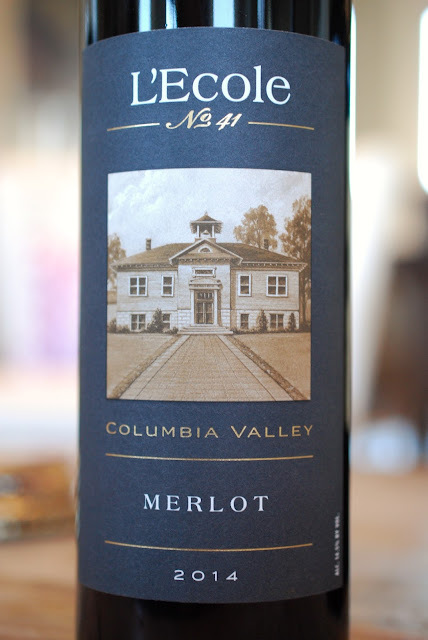 41 is a second generation family-owned winery and the third oldest winery in Walla Walla Valley. They’ve cultivated an excellent reputation in their thirty years and are dedicated to sustainable farming. Marty Clubb is L’Ecole N° 41’s Managing Winemaker and co-owns the winery with his wife Megan. Megan’s parents, Jean and Baker Ferguson, founded the winery in 1983. The winery’s name comes from the historic Frenchtown School in which the winery is located. • Vineyards: Estate Seven Hills, Bacchus & Dionysus, Estate Ferguson. Candy Mountain, Klipsun, Stone Tree, Weinbau, Pepper Bridge. • Fermented in stainless steel and matured in 100% small oak barrels, 30% of which were new. Four rackings over 18 months. This wine had notes of ripe raspberry notes, plums, cocoa, baking spices, hints of tobacco, light herbs, a little earth and pepper. A really solid QPR on this wine and it worked generally well across the board. • Vineyards: 60% Estate Ferguson (fractured basalt soils), 40% Estate Seven Hills (loess soils). Both Certified Sustainable and Certified Salmon Safe. • 2014 was generally warm which aided ripeness, but with cooler periods that helped preserve acidity. • Fermented in stainless steel and matured in 100% French Oak Barrels, 40% of which were new. Four rackings over 18 months. We picked up notes of black cherries and plums laced with thyme and other dried herbs, a dusting of cocoa, white mushrooms, and black tea. It was really nicely balanced all around with a little bit of grip that was held up by good acidity. This was a particularly versatile wine and worked quite well most foods on the table. A little extra velvety juiciness came out alongside the rillettes. 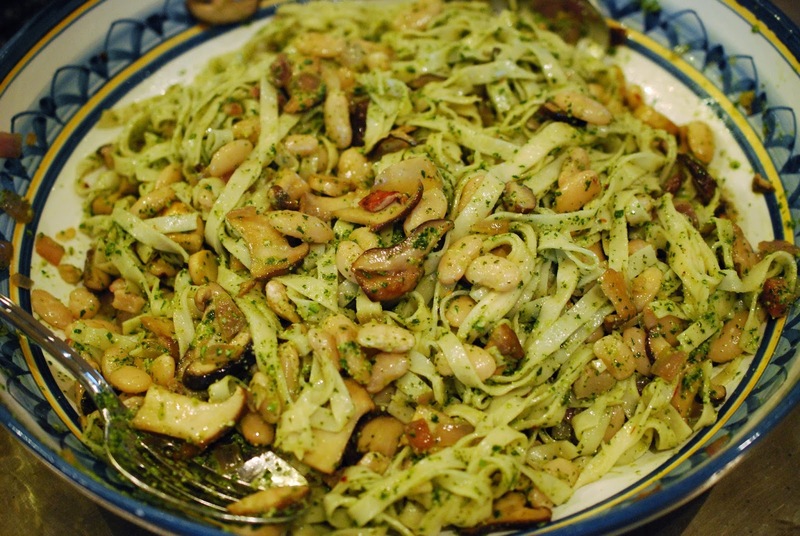 I went back to this one quite a bit as well with the main course, as the herbal notes in the wine played quite well with the substantial herbs and spices in the porchetta and the pasta. • Average price on WineSearcher.com: $47; Listed at K&L for $49.99. • 80% to 100% new oak barrels for about 18 months. Amount of new oak varies, depending on the vintage. 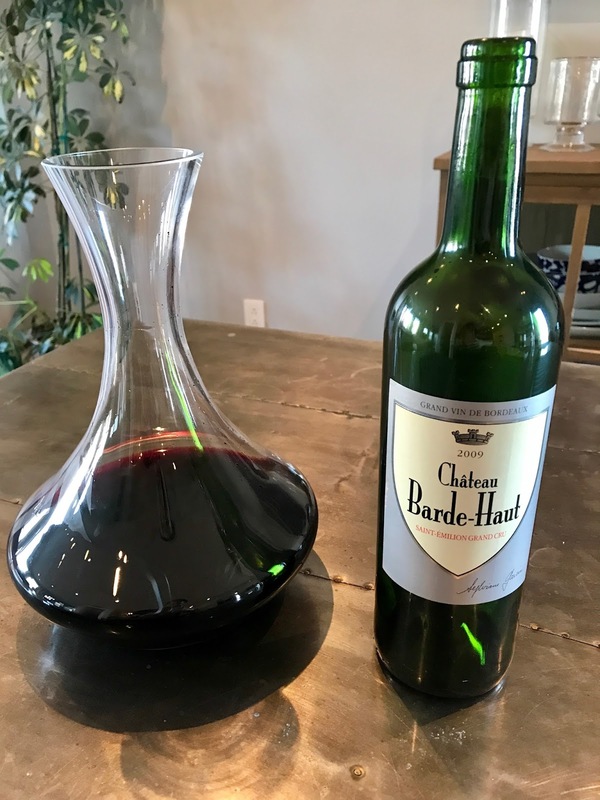 2009 was recognized a particularly good vintage and wine was showing very well with notes of iron, dust, mushrooms, light tobacco, cassis, white pepper, and clove. Beautifully balanced and showing the earthy tertiary flavors in an attractive way. The earthy and herbal palate on this wine was natural for the slated menu, and it did as well as you might expect. If you’re not sure which one to pick, you might just gauge your audience. If you have a lot of lovers of European wines, reach for a Bordeaux. If you know your guests favor the ripe fruit flavors of the New World, grab a Merlot from California. If you’re not sure where the loyalties lie or think it might be a mixed crowd, pour one from Washington. Also consider the meal of course. If you think a meal will have a lot of herbal or earthy components, BDX or perhaps a Washington are good ways to go. If the greens and herbs are taking a step back, if the meal is more meat driven with straightforward seasoning, or if there is a touch of sweetness or spice to the dish, California might be the better bet. To be honest, I think Napa was at a bit of a handicap here precisely due to the herby flavor profile of this meal. 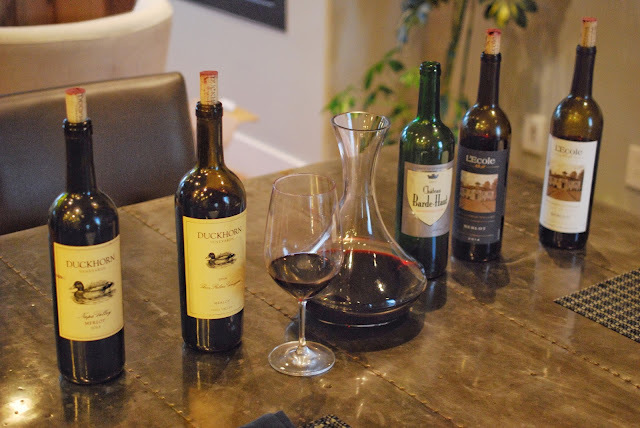 Stay tuned because we’re going to give the Cali wines a chance to make a comeback in the next post. Also, a few other samples arrived in addition to these. Hopefully, we’ll have chance to explore them in the future. Unfortunately, I have to take a dark turn for a moment and must acknowledge that the tragic fires that are still currently decimating our beautiful California Wine Country began shortly after wrapping up this dinner. We have close family members, friends, and colleagues affected by these fires, not to mention the damage to many vineyards which are the livelihoods of so many. Please see this article from the SF Chronicle on how to help. On a personal note, our niece Kara and her fiancé Andrew had to flee their apartment minutes before the fires reached their complex. His mom created a fundraising page on their behalf to help support them as they rebuild and move forward. I’d like to share the link here as well. Finally, if you happen to be in the Bay Area, Bay Grape (the shop I work at) is hosting several events this weekend with the North Bay in mind. While it might seem a little flip to be talking about wine in the midst of this, it is in fact the livelihood of these regions. An incredibly important way to support these areas in the time to come will be by purchasing their wines. Not to mention the fact that one of best things we can do maintain our sanity in these trying times is to connect with friends and family by sharing a bottle and connecting around the dinner table. 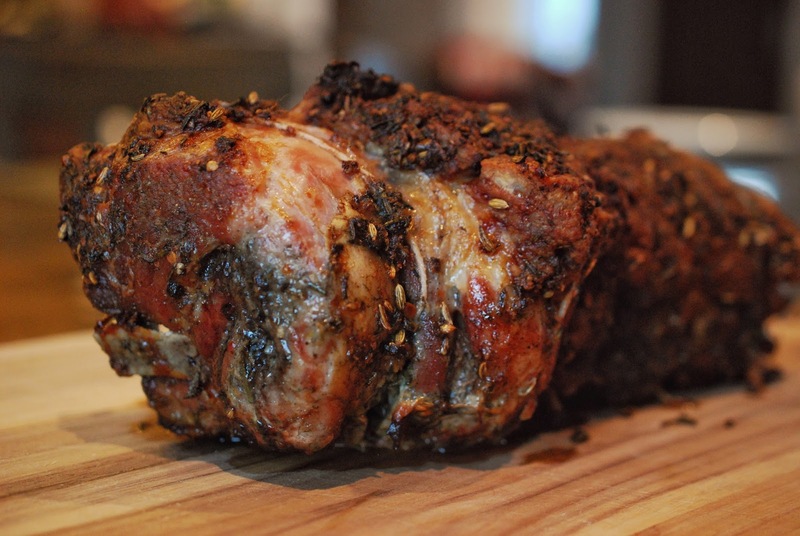 And for one final recipe, check out NibblingyGypsy.com for Roasted Lamb with Thyme Wine Sauce and Cauliflower paired with another BDX. You give such a great breakdown of the regional characteristics of wines and how to use that knowledge to create a stellar pairing. So helpful! The only thing better than enjoying good wine and food is being in the company of those you love. 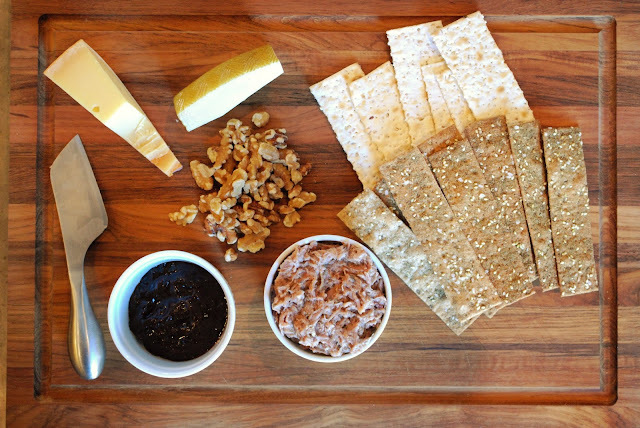 Looks like a great dinner and paired beautifully with the Merlots! How did your weekend events go? I love the dinner party vibe in this story. Such a fun way to taste multiple bottles and chat about a varietal. Plus, the menu is outstanding. Great post! Great- Thanks for asking -- it was a packed weekend including fundraisers, social causes, and other fun things. And thanks so much!